That was really a lot of fun to watch. 19 Years ago today the Wings won the Stanley Cup. Wow............I'm freaking old. They've done a lot of Q&A's and autograph signings together through the years, they patched it up a long time ago. Was at the game today and they of course honored that game during the third period, and the crowd ate it up. That place sure is dead these days. I cant remember anymore, but why did it take until the end of the season for McCarty to get revenge? 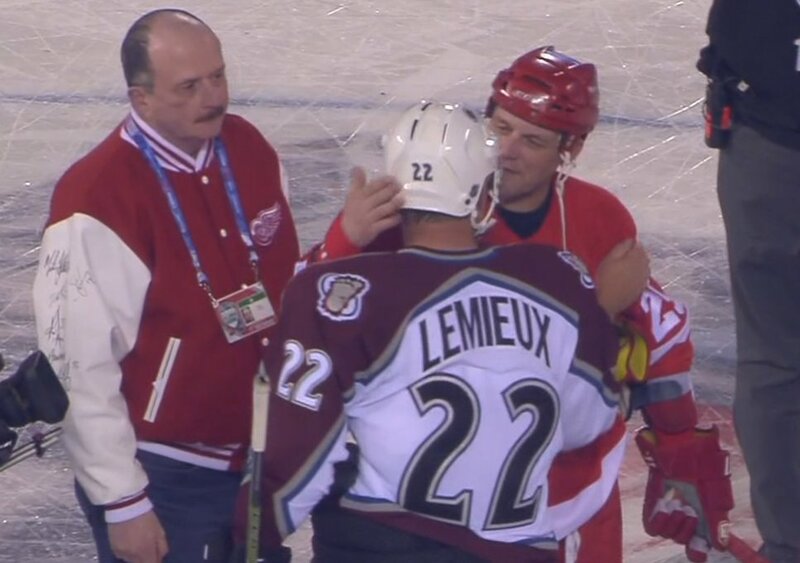 Had lemieux been hurt in their previous visit to Detroit that year? I seem to remember there being a reason that nothing happened earlier that year. They settled it on the ice a couple of times. That's how it's supposed to be done. I thought I had heard a reason but I can't recall what. Lemieux played in 79 games that season, McCarty played in 68. McCarty was in the line-up for the November game at the Joe but Lemieux was not. Can't remember if there were charges at the time of him being chicken to play or whether he was injured. Avs won 4-1. That wouldn't have had the same ring to it. So glad that for whatever reason it got deferred to March 26. This thread is now nearly as old as the original title. Yeah its mainly just lurking nowadays. Ill always be around in one form or another. It's almost like a rare Pokemon. Every since Shinma stopped posting the Wings started sucking. Correlation-causation? That game is now legal to drink. i think i cried when they won this game. colorado is still my most hated nhl team, even more than the hawks or leafs. 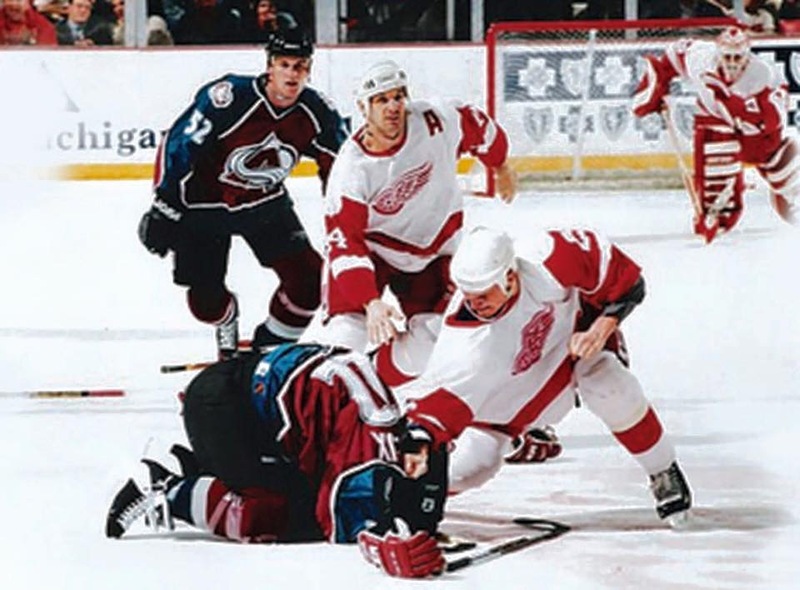 McCarty had more big moments against the Avalanche. In Game 2 of the ECF that year, his late breakaway goal iced the win to even up the series. Then, 5 years later, he kicked off the ECF with a natural hat trick in 2002's Game 1. Interview with Darren McCarty from yesterday. Warning: lots of foul language. That was the night they really won the Stanley Cup. The rest was just ceremony. I remember the huge build-up to the March 26 game and the big short-term boost that the brawl and comeback gave. Nonetheless, within a few short weeks, by the time St. Louis had tied the 1st round series with the Wings 2-2 I'd say the Wings' fanbase had dipped to its most negative sentiment in years.